Description: ABSOLUTE MUST SEE HOME THE AMERICAN DREAM Completely Renovated and Updated Colonial located on a quiet tree lined street, just ready for you to unpack your bags and move in! 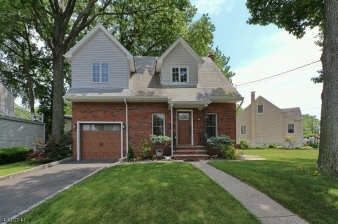 This special home - boasts: 3 bedrooms, 2 full baths, 1 half bath & oversized 1 car garage. The open floor plan is a perfect layout for comfortable living. This special home features: a stunning master suite w/spa like master bath w/ heated floors, hardwood floors, living room w/gas fireplace, dining room w/bay window, kitchen w/breakfast bar, family room, walk in closets w/custom built ins, basement w/laundry & utility, attic access, 2 zone HVAC, underground lawn sprinkler and so much more! The private backyard w/deck is perfect for outdoor relaxing or entertaining. Convenient to Everything & NYC Trans Make it your new home today!